Professor John L. Casti, popular-science author and internationally-recognized complexity scientist, received his Ph.D. in mathematics at the University of Southern California in 1970. He worked at the RAND Corporation in Santa Monica, CA, and served on the faculties of the University of Arizona, NYU, and Princeton before becoming one of the first members of the research staff at the International Institute for Applied Systems Analysis (IIASA) in Vienna, Austria. In 1986, he left IIASA to take up a position as a Professor of Operations Research and System Theory at the Technical University of Vienna. 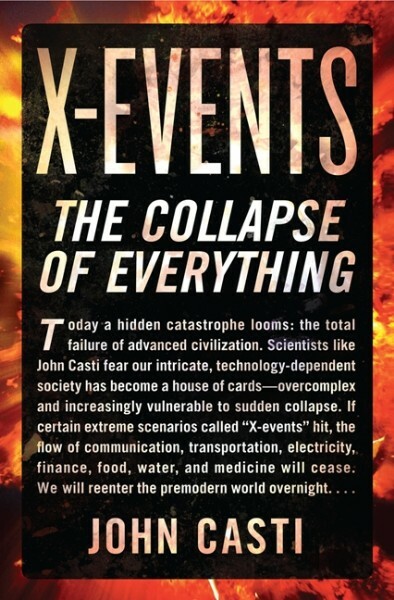 His newest book, X-EVENTS: The Collapse of Everything (Morrow), addresses the underlying cause of extreme events generated by human inattention, misunderstanding, error, stupidity and/or malevolent intent. Casti is the perfect keynote speaker for academic institutions and science-focused conferences. Casti served as a member of the External Faculty of the Santa Fe Institute in Santa Fe, New Mexico, USA, from 1992-2002, where he worked extensively on the application of biological metaphors to the mathematical modeling of problems in economics, finance and road-traffic networks, as well as on large-scale computer simulations for the study of such networks. In 2000, Casti formed two companies in Santa Fe and London -- Qforma, Inc. and SimWorld, Ltd. -- devoted to the employment of tools and concepts from modern system theory for the solution of problems in business and finance. In early 2005 he returned to Vienna, where he co-founded The Kenos Circle, a professional society that aims to make use of complexity science (or "surprise science") in order to gain a deeper insight into the future than that offered by more conventional statistical tools. Casti has written numerous articles and seven technical monographs and textbooks on mathematical modeling. In addition, he is the editor of the journals Applied Mathematics & Computation and Complexity. 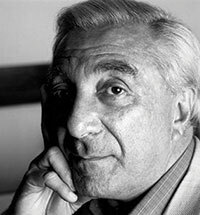 In 1989, his work Alternate Realities: Mathematical Models of Nature and Man was awarded a prize by the Association of American Publishers in a competition among all scholarly books published in mathematics and the natural sciences. In 1992, he also published Reality Rules, a two-volume text on mathematical modeling. In addition to these technical volumes, he has written several popular books on science: Paradigms Lost: Images of Man in the Mirror of Science (Morrow), which addresses several of the most puzzling controversies in modern science; Searching for Certainty: What Scientists Can Know About the Future (Morrow), a volume dealing with problems of scientific prediction and explanation of everyday events like the weather, stock market price movements and the outbreak of warfare; and Complexification (HarperCollins), a study of complex systems and the manner in which they give rise to counterintuitive, surprising behavior. Casti has also written two popular volumes on mathematics: Five Golden Rules: Great Theories of 20th-Century Mathematics -- and Why They Matter, and its sequel, Five More Golden Rules. His next work of popular science was Would-Be Worlds, a volume on computer simulation and the way it promises to change the way we do science. In 1998, he published a volume of ``scientific fiction,'' The Cambridge Quartet, involving Ludwig Wittgenstein, Alan Turing, J.B.S. Haldane, C.P. Snow, and Erwin Schrödinger in a dinner-party conversation on the question of the uniqueness of human cognition and the possibility of thinking machines. More recently, his published books include Art & Complexity, a volume edited with A. Karlqvist, as well as a short volume on the life of the Austrian logician Kurt Gödel, Gödel: A Life of Logic. In the same year he published the volume, The One, True, Platonic Heaven, which addresses in a fictional format the question of the limits to scientific knowledge. The volume on art and complexity sparked off a continuing interest in the interrelationship between complex systems and artistic forms of all types, which is reflected in a set of papers currently in preparation addressing the complexity of scientific theories regarded as artistic forms. Casti's primary current research interests have shifted somewhat to the exploration of questions in the social and behavioral realm and the relationship between social "moods" and their consequent social actions and behaviors. In this direction, his 2010 book, Mood Matters: From Rising Skirt Lengths to the Collapse of World Powers, addresses the directions and patterns of social causation and their implications for future trends and collective social events, such as styles in popular culture, the outcome of political processes, and even the rise and fall of civilizations. For many years Dr. Casti was a Research Scholar at the International Institute for Applied Systems Analysis in Laxenburg, Austria, where he headed an initiative for the study on Extreme Events in Human Society. He is now Director of The X-Center, a Vienna-based research institute focusing on development of concepts and tools for the anticipation of human-caused extreme events. "Casti is at his best in presenting difficult philosophical ideas enthusiastically and lucidly, and in presenting everyday examples to illustrate them." "I am an assiduous reader of John Casti's books. He is a real scientific intellectual."